Hi Guests, Many thanks for considering to stay at my home in Edinburgh. Whether your coming for business, pleasure or to visit family, I hope you will enjoy my apartment and all Edinburgh has to offer. 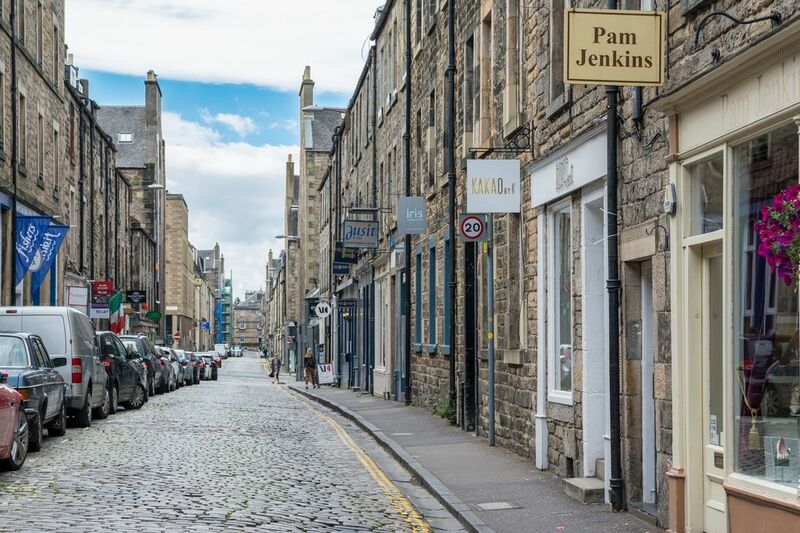 I grew up on the outskirts of Edinburgh in Balerno and after graduating from The Robert Gordon University in Aberdeen have been travelling and working all over the world for the last 20 years. During this time I’ve learnt to keep things simple has always worked best. I hope you see this in how both the apartments I’ve bought are laid out to provide you with a comfortable and pleasant stay. From an early check in to drop off luggage to Unlimted WiFi, Cable TV, Nespresso Coffee, Complimentary Red Wine, Flat screen TV’s, NEST Temperature control, luxury Linens, Dressing gowns and bedding. Add this to the additional space, privacy and flexibility of a private apartment, along with fully equipped kitchens and I do hope you have the perfect holiday. I hope you find my apartment welcoming and you might just notice the occasional piece of Thailand along the way. Any questions please do ask I’m always on hand to answer any queries. Enjoy your Travels !! Large Curved bathtub, including toiletries. Breakfast Bar with 2 seats. Dining Table overlooking Thistle Street can seat four people. A lovely, clean and cosy flat in a perfect central location for our short city break. We especially appreciated the early check-in of Noon and the welcome pack of milk, tea and coffee. Easy to book, prompt responses and considerate hosts. We look forward to our next visit! The Thistle Street apartment is just as charming, tidy, and well-appointed as represented in the listing. Firm mattress, ample pillows and towels, washer/dryer combo, strong WiFi throughout. Excellent New Town location, very convenient to all the tourist areas. Lots of shops and restaurants nearby. Graeme recommended Chez Jules and I concur that it’s a great French restaurant, good value. My husband and I had a fantastic stay in this little gem of a flat. Communication was excellent, and entry was easy and convenient. The flat itself is adorable, clean, comfortable, nicely appointed and decorated. There were lots of nice touches too, such as brochures for attractions in the city. The best thing about this apartment is its location-you walk out the door and you are in the middle of it all. We would definitely stay at this flat again! We loved this apartment and would rent it again in a heartbeat. As others have said, the location cannot be beat! The living room and bedroom are very spacious and beautifully decorated. We especially appreciated the firm bed mattress. We are old(er) and found the 33 steps not difficult to navigate even with our luggage. Graeme and Ailsa have thought of everything for their guests including very clear instructions on access to the unit, checking-in and checking-out. Our only regret is that we simply forgot to try the whisky kindly provided (for a very modest donation). Clearly we have to return to Edinburgh! We spent 10 days at Thistle Street, we used the washing machine, and gas fire as the evenings were turning colder. the apartment has central heating and apartment was warm and comfortable, we appreciated the coffee, tea and milk and generous offering of whiskey. Apartment located close to centre but surprisingly quiet in the evenings for a city centre location. There is an oven, microwave, dish washer too. Only one small difficulty for us, we could not get Netflix on the TV screen, but that might be down to our lack of IT skills. The wifi connection was good. Overall an enjoyable stay, we also appreciated the amount of information provided by Graeme on local amenities, and on household appliances. We would be pleased to return.